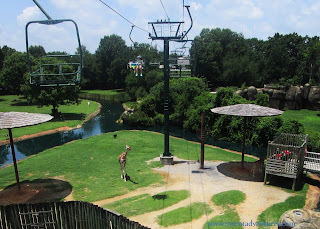 Description: This large zoo is home to over 500 animals. And these aren't just 500 little animals. 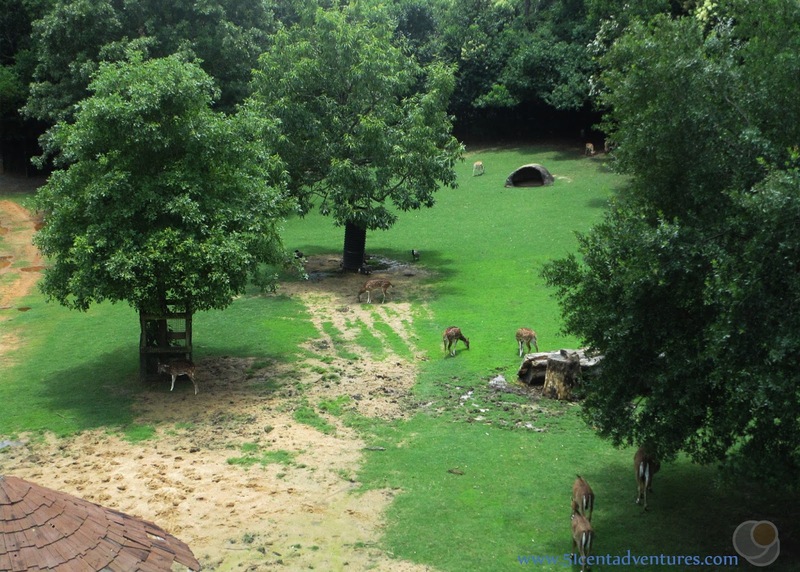 The Montgomery Zoo is home to elephants, tigers, bears, chimpanzees, lions, rhinoceroses, kangaroos, and many other large and interesting animals. 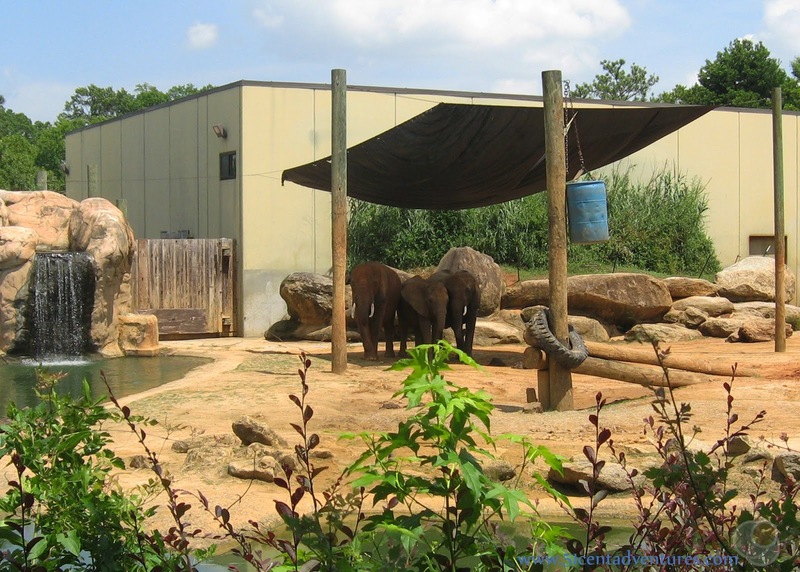 The animals are housed in large, barrier-free habitats which makes viewing them easy. 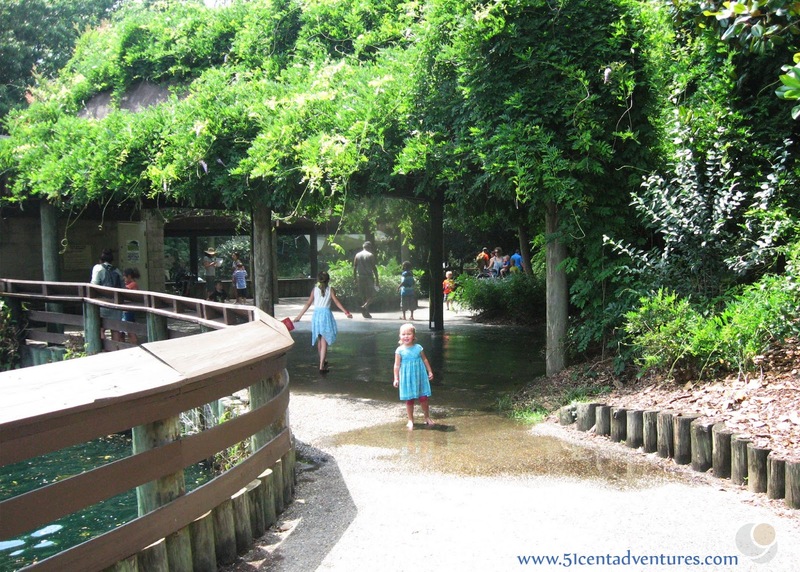 There are many wide walkways that lead to each exhibit, and there is plenty of shade throughout the zoo. A visit to this zoo is well worth your time and your money. Operating Seasons and Hours: 9:00 am to 5:30 pm every day. The last admission tickets are sold at 4:00 pm. As many of you know, my kids love zoos. 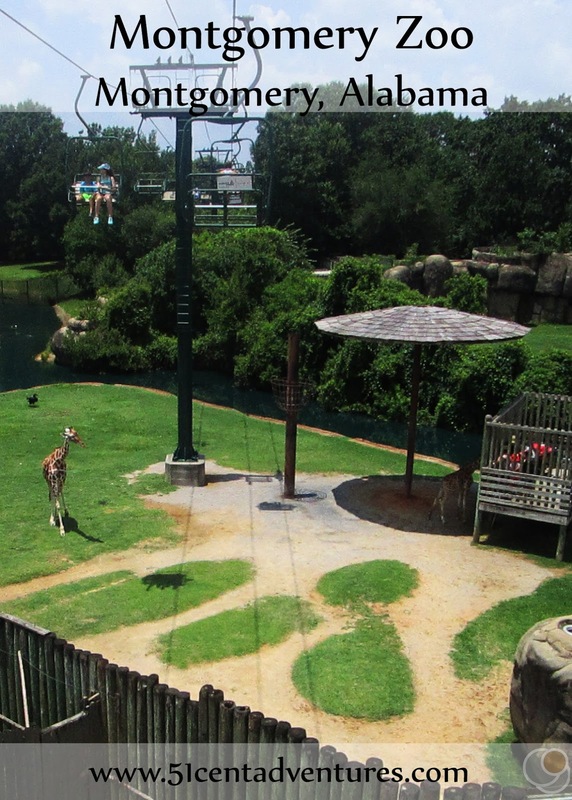 Back when we lived in Fort Hood, Texas we were absolutely spoiled by the Cameron Park Zoo in Waco. I didn't realize how spoiled we'd been with zoos back in Texas until I had trouble finding a zoo we could afford when we moved to Alabama. 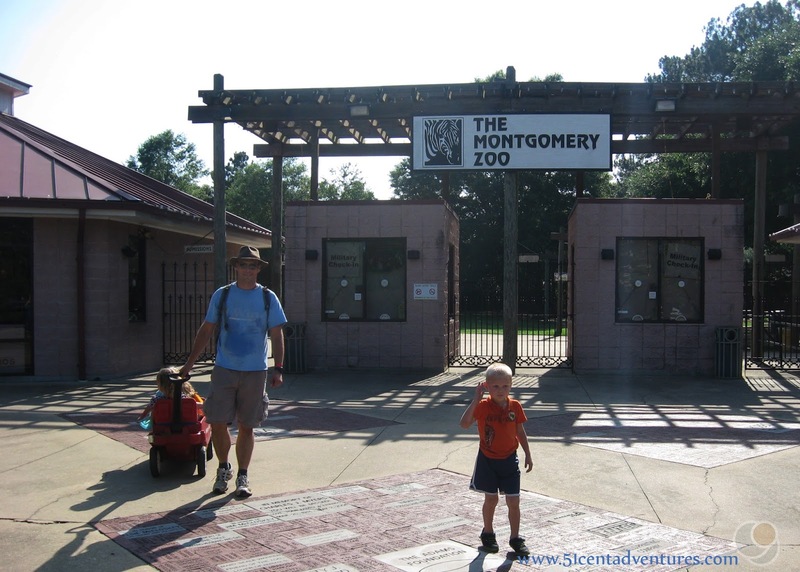 Everyone said that the Montgomery Zoo was amazing - and I believed them, but the cost of admission kept me from taking my family there. For my family of six, a visit to the Montgomery Zoo would be expensive. An adult ticket is $15 and a child ticket is $11. So that right there is $63 for us. (My two year old would be free) Plus they have a wildlife museum that you can add on for an additional $5 to each ticket. So that brings our total to $88. And then there's a train for $3 a ticket which would make this into a $106 trip. Obviously, for someone who writes a blog about inexpensive places to visit, paying $106 to visit the Montgomery Zoo wasn't something I could easily justify. Hence why I was looking forward to the FREE admission on Military Appreciation Day. I had June 16th marked on my calendar for months. My family's day at the zoo ended up being everything I hoped it would be. 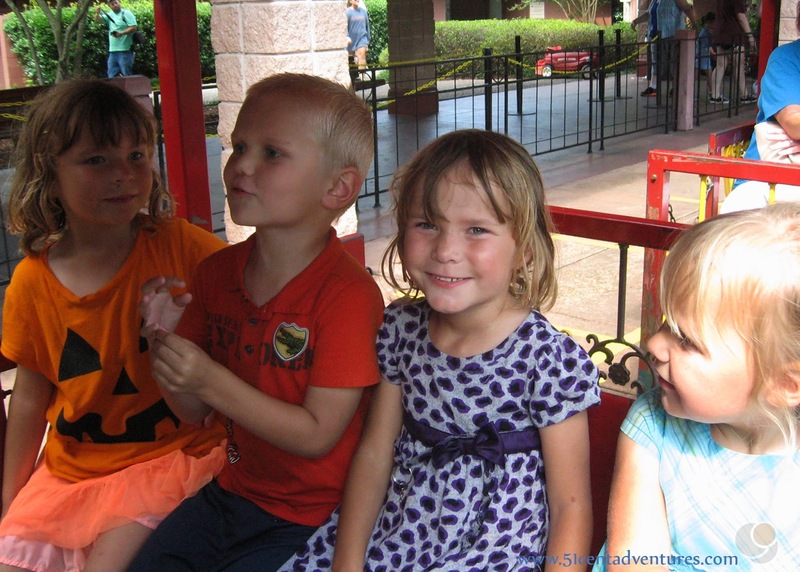 There were animals, there was fun, there were unlimited rides on the train. It was great. But here is the question I want to explore in this post. 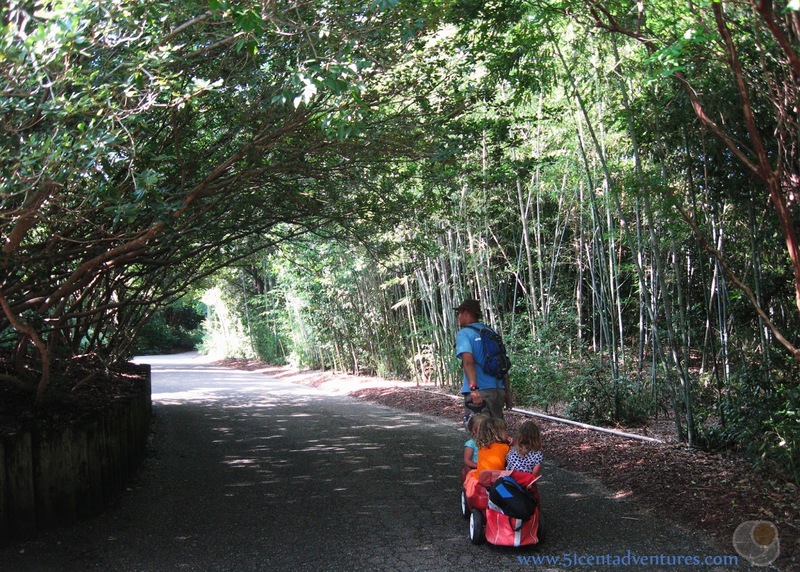 Would our visit to the zoo have been worth it even if we had paid the admission price? Let me take you though some of the things you can expect from a visit to the Montgomery Zoo and whether or not I consider them worth the money. The Montgomery Zoo has all the "big animals" you hope to see when you visit at zoo. 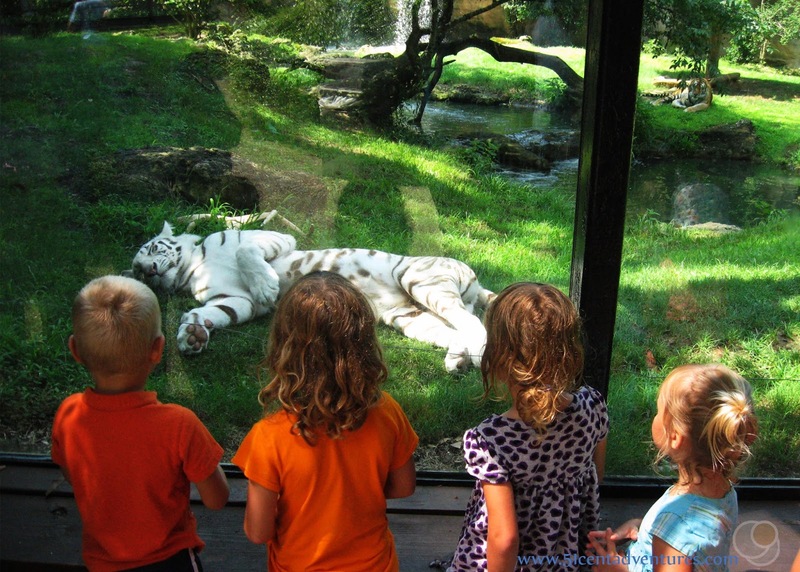 Lions, tigers, bears, elephants, giraffes, etc can all be found at this zoo. That's a big deal because most of the other zoo's in Lower Alabama/Northern Florida don't have many big animals. Sure some of them have a giraffe, or a tiger or two, but none of the other zoos have as many big animals as the Montgomery Zoo. Throughout the day the zoo hosts "keeper talks" near the lions and the elephants. These are a chance for the zoo staff to talk about how they care for the animals. This is a fun way to get an in-depth understanding of the animals. The Military Appreciation Day was scheduled in the middle of June. So I was very concerned about keeping everyone cool. I made sure we had plenty of water with us. I also appreciated that there were plenty of shady areas throughout the zoo. As an added bonus the zoo had mist-sprayers set up that sprayed water all day long. The best mist area was by the chimpanzee exhibit. 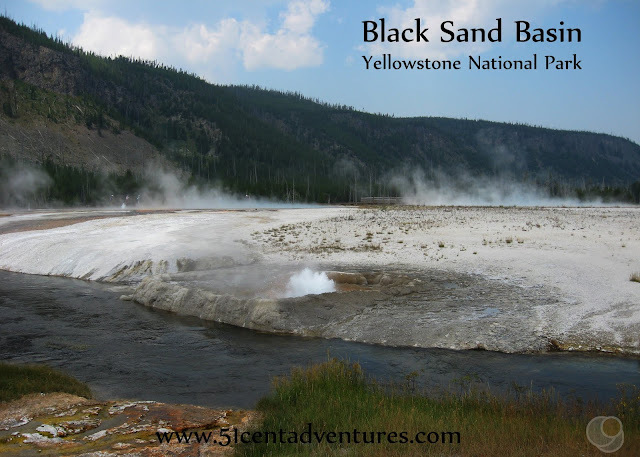 My youngest daughter played in that mist for a long time while her sisters listened to the elephant keeper talk. 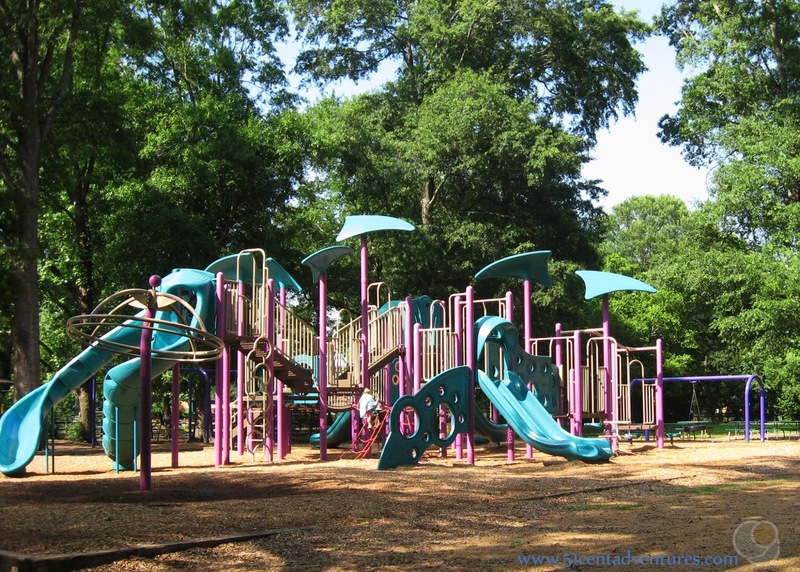 The zoo has a large playground for when your kids need a break from the animals. We came here at the end of the day and let the kids use up the last of their energy before we went home. I would say that the price of the Mongomery Zoo is worth it for all the animals that you can see. Sure $15 a person is a little steep, but the Montgomery Zoo is large enough that it will be worth your money. However, if you are planning a trip to this zoo make sure your plan ahead for all the add ons to the price of the zoo. $15 for an adult ticket and $12 for a childs ticket are just the beginning of what you probably will pay to visit this zoo. Let's talk about all the other things you can choose from. I'll let you know whether or not they are worth your money. This museum is located adjacent to the zoo. If you were visiting the Mann Wildlife Museum on it's own you would pay $7 for an adult and $5 for a child. If you add a visit to the museum to your zoo ticket it's only an extra $5 for adult and $4 for a child. The Mann Wildlife Museum is full of large animals that have been preserved through taxidermy. The whole place is just a bunch of winding hallways with displays of animals. My husband and I decided it was Ikea for taxidermy. Overall it's cool, but I wouldn't say it's worth the money. Unless you absolutely love stuffed animals you could skip this, and not miss out on anything. On the military appreciation day the train ride was free. And thank goodness too because my train obsessed son wanted to ride the train over and over and over again. Normally riding the train is $3 per rider and free for children two and under. I expected that the train would take us near some of the animal exhibits, so that we'd be able to see them. However, that wasn't the case. 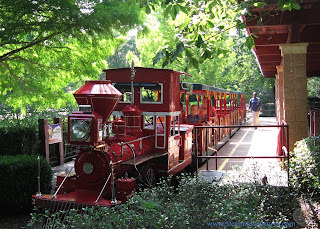 The train went around the perimeter of the zoo. We did get a brief glance into the chimpanzee area, but other than that we didn't see any other exhibits. The train is worth the money if you just want to go for a ride. But but don't expect to see the animals from the train. You're better off doing that on your own two feet. This ride was not free on the Military Appreciation day, but my husband and our 5 year old daughters really wanted to ride it. We figured since we'd got into the zoo for free we could afford to pay $5 per rider for the three of them. 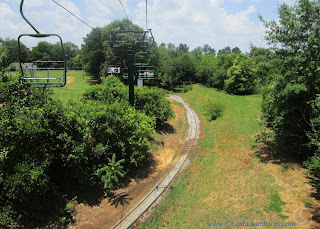 This ski lift style ride took them over the animal exhibits in the middle of the park. They were able to look right down on many of the animals. My husband and the twins said this was their favorite part of the whole zoo. My husband says that it was definitely worth the $5 price. He would have liked to go again, but didn't want to pay another $5. He wished there was some sort of "second ride for $3" promotion or something like that. 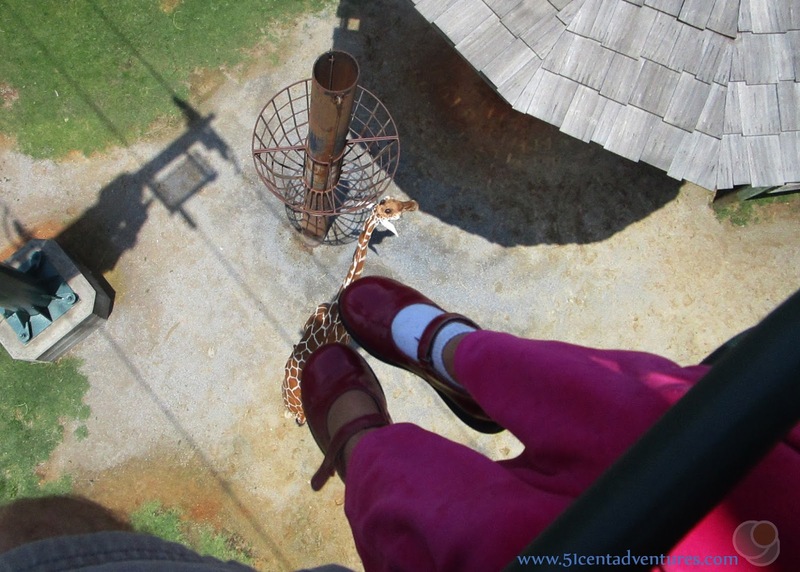 If you aren't afraid of heights then the sky ride is a great way to see the animals from a different angle while having a small adventure. There is a lake in one of the corners of the zoo. You can see the lake from the train ride and from several of the animal exhibits. If you really want to see the lake you can rent a pedal boat for 30 minutes and pedal on the water. Prices to rent to boats are: $8 for the first rider, $10 for 2 riders, $12 for 3 riders and $14 for 4 riders. We didn't do this because all riders have to be over 40 inches tall. And there is a limit to 4 people per boat. There are several options to feed the animals within the zoo. You can feed giraffes for $3 for each person over the age of 2. We didn't do that because I wasn't about to drop $15 so my kids could get licked by a giraffe. We did feed the birds in the aviary. This cost $2 for a stick that had a minuscule amount of bird seed on it. It felt like a rip off, but it was cool to have the birds perch right near our hands. There is also a petting zoo located right by the playground. The petting zoo itself is included in the cost of admission. If you want to feed the animals at the petting zoo you can purchase a bag of feed for $2. Overall, I was very satisfied with our visit to the Montgomery Zoo. I was happy that we'd been able to go there for free, but even if we'd payed the full price of admission it would have been worth it. Actually, the more I think about it the more I'm kicking myself that we didn't just buy an annual membership to the Montgomery Zoo when we first moved to Alabama. I'm sure we would have used it enough to more than make it worth the money. So if your children like visiting zoos you might want to look into getting a membership here. Recommendations: I highly recommend the main part of the Montgomery Zoo. If you stay all day you will definitely get your money's worth. This is also the type of zoo where it would be worth it to buy a season pass so you can come back again and again. 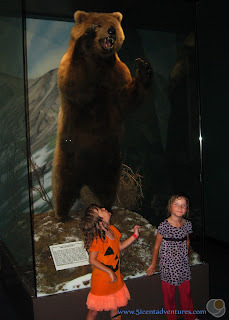 I don't recommend the Mann Wildlife Museum. You will be just fine if you skip that museum. Save your five dollars for the sky ride. The sky ride is definitely worth your money if you want a good view of the animals. 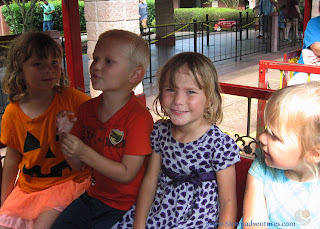 The train ride is fun, but you won't see the animals. Feeding the animals could be a good deal if that is important to you. 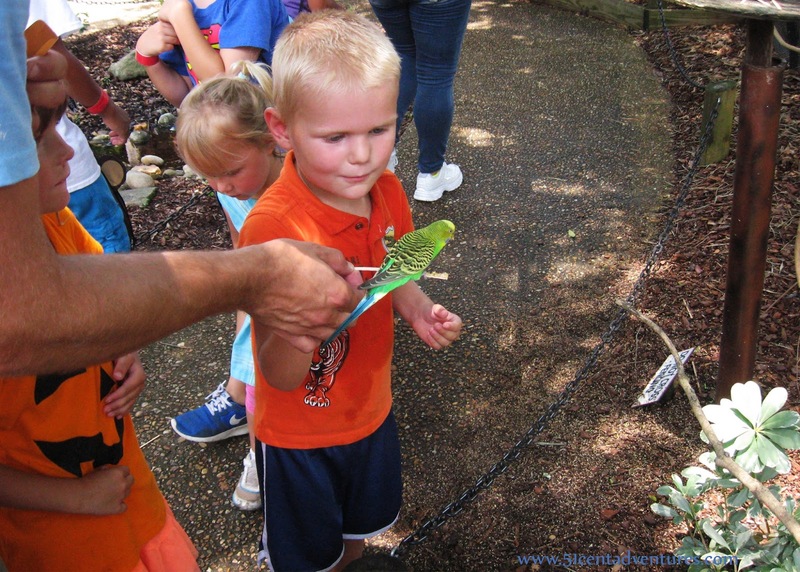 If you are looking for a large zoo to visit in Lower Alabama/Northern Florida you wont find a better deal than the Montgomery Zoo. For only $15 for an adult ticket you can see all the popular large animals, as well as many smaller ones. The price is especially good when you compare it to the Atlanta Zoo where tickets are $23 for an adult and $17 for a child. 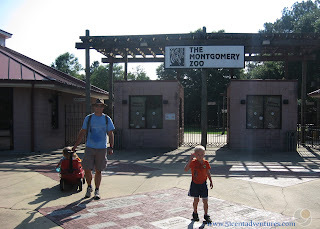 Directions: The Montgomery Zoo is located north of Montgomery just off of Northern Boulevard/Highway 152. 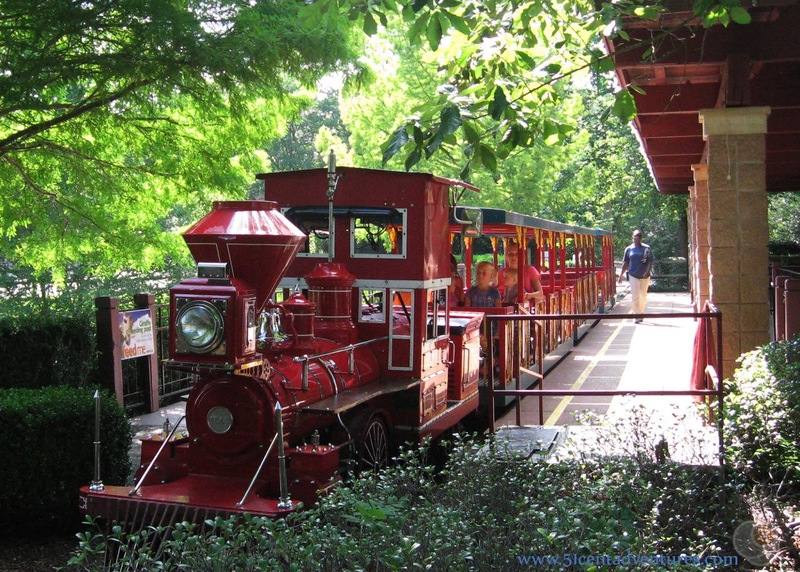 Places Nearby: The zoo closes at 5:00, but that doesn't mean you have to leave Montgomery. Riverfront Park in downtown Montgomery is a fun place to spend an evening. Concerts and other cultural events are often held at the parks large amphitheater. Next Stop: At first I assumed that my husband's training schedule would prevent him from coming to the zoo. However, things changed and so we ended up planning a mini family vacation that weekend, starting with the trip to the zoo. 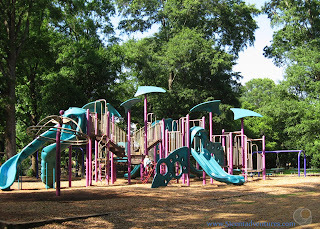 Our next stop on our little vacation was St Andrews State Park in Panama City Beach, Florida.